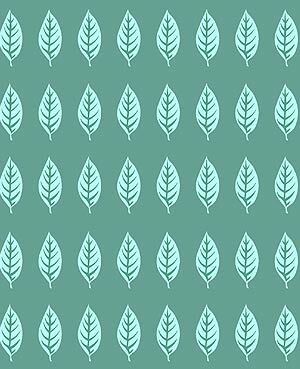 Use the clean, simple lines of the Leaf Border Stencil, with its delicate tapered oval leaves, to create a modern and fresh look. 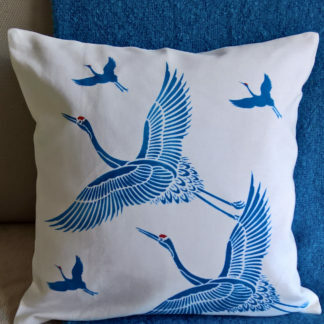 Ideal for a wide range of surfaces – try on walls, fabric for curtains, drapes and cushion covers, furniture, picture frames and home accessories. 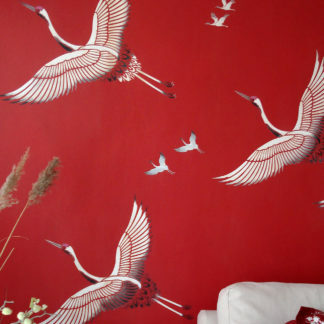 Use as a single row border or repeat in blocks for contemporary style. See size and layout specifications below. 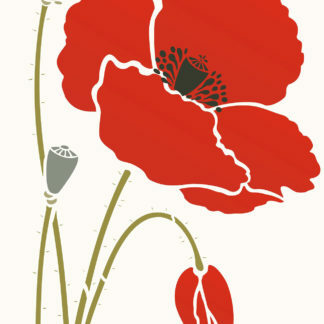 Above top – the Leaf Border Stencil repeated in regular horizontal rows to create a deep block of pattern. 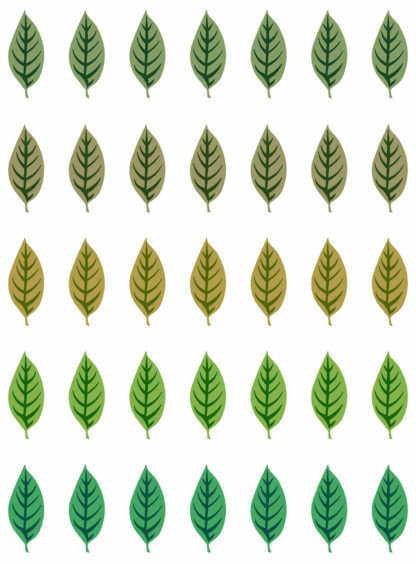 Main leaf colours – Hedgerow, Olive Grove, Yellow Ochre, Verbena and Oasis Stencil Paints, all leaf veins in Woodland Stencil Paint. 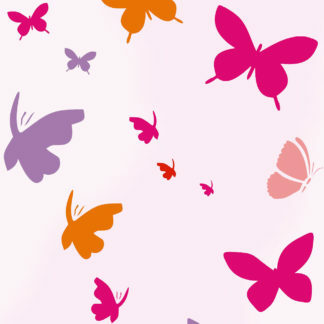 Above – the Leaf Border Stencil repeated in regular horizontal rows to create a continuous pattern effect. 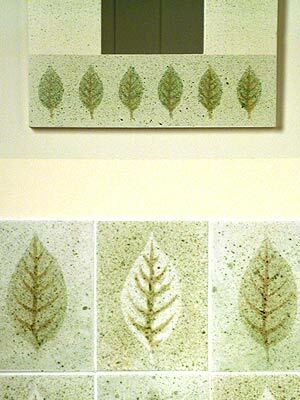 Stencilled in Spearmint and Emerald Forest Stencil Paints on a chalky green background. 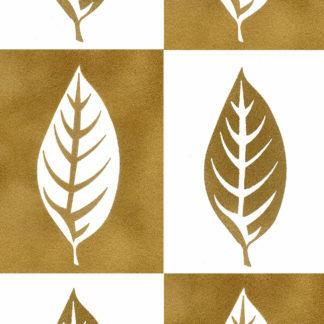 Use in conjunction with the Buckthorn Leaf Stencil and the Ash Leaves Stencil and our Large Leaves Theme Pack Stencil. 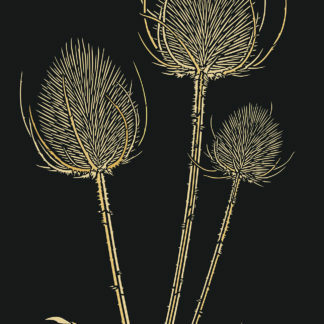 Above – the two layers of the Leaf Border Stencil in Hedgerow and Woodland Stencil Paint. 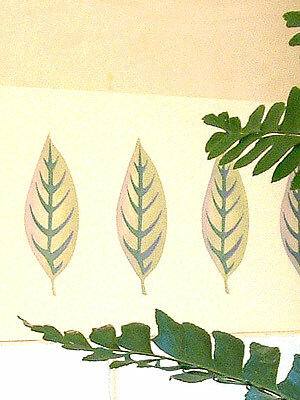 Above and below – the Leaf Border Stencil on a kitchen wall applied to a plain painted band of colour, slightly lighter than the original wall colour – stencilled in Eucalyptus and Agapanthus Stencil Paints (lightly blushed around the edges of the layer one leaf shapes) and Emerald Forest Stencil paint (layer two veins). 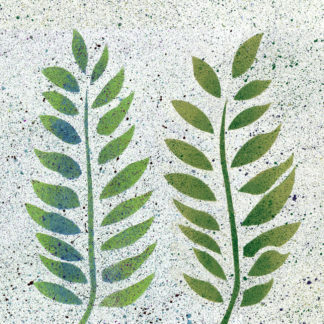 Above – close up detail of the graceful Leaf Border Stencil. Above – the Leaf Border stencilled on a mirro frame in Verbena and Woodland Stencil Paint with Antique Gold Metallic Stencil Paint highlights on a paint spattered background. 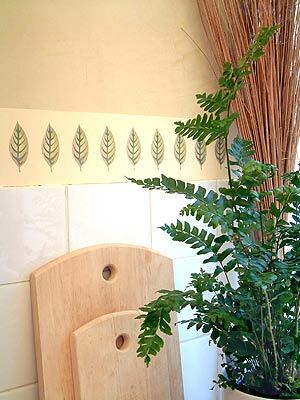 Seen above tiles decorated with the Buckthorn Leaf Stencil. Two layer stencil with registration dots. Border has eight leaves. Leaf border is approximately 37cm (14 3/4″) wide by 7cm (2 3/4″) deep. 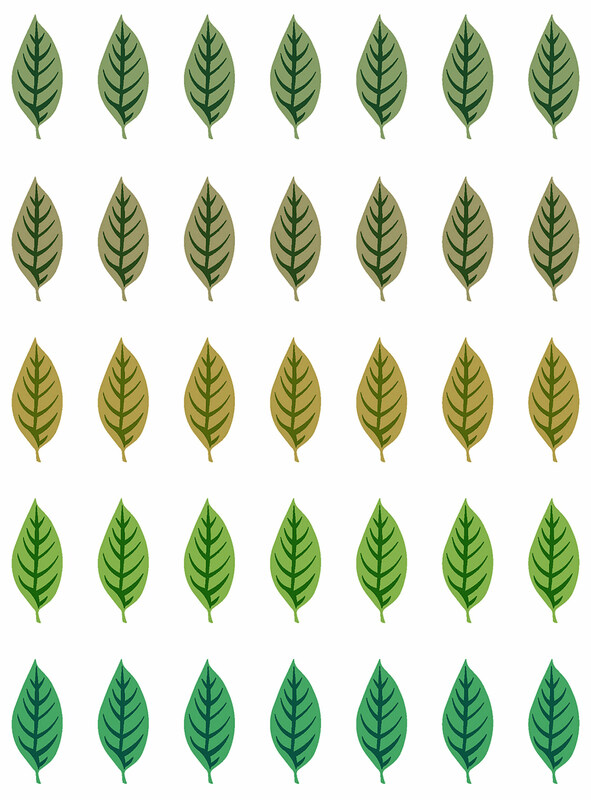 Each Leaf being 7cm (2 3/4″) tall. 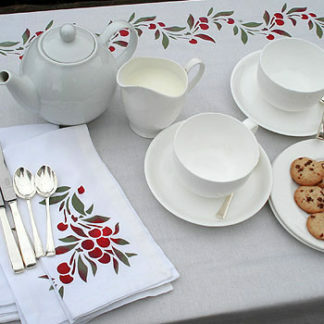 Sheet size 50cm (19 3/4″) wide x 20cm (8″) deep. 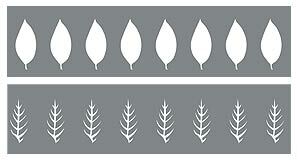 Left – layout of the two stencil sheets of the Leaf Border Stencil.